Improving the appearance of Acne Scars or Chicken pox scars using the Areton One (Skin Re-Surfacer) is very easy. Today, if you have acne scars you do not have to use make-up as a long term solution. You do not have to spend thousands to achieve visible improvement in the appearance of your Acne Scars or Chickenpox scars. Visibly improving the appearance of your acne scars is not as expensive as it used to be thanks to the New Areton One (Skin Re-Surfacer). No more need for expensive and gruesome Laser Treatments or generally expensive treatments at cosmetic clinics. The Areton One allows you to achieve just the same results you would get if you were to spend thousands on Acne scars or Chicken pox scars treatments at the top cosmetic clinics. Areton One is formulated in a thick gel. This allows us to use milder peels than those used in cosmetic clinics, whilst achieving similar or the same results you would otherwise get in your beauty therapist’s office from the comfort of your home . 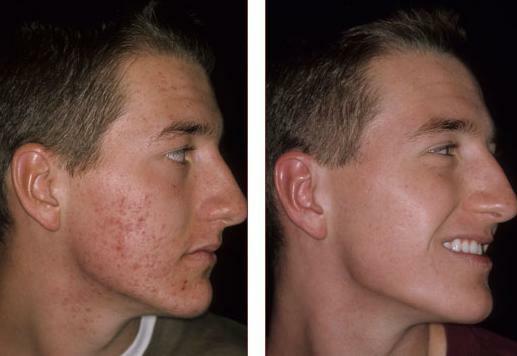 Why is the Areton One home treatment very effective for mild acne scars improvement? 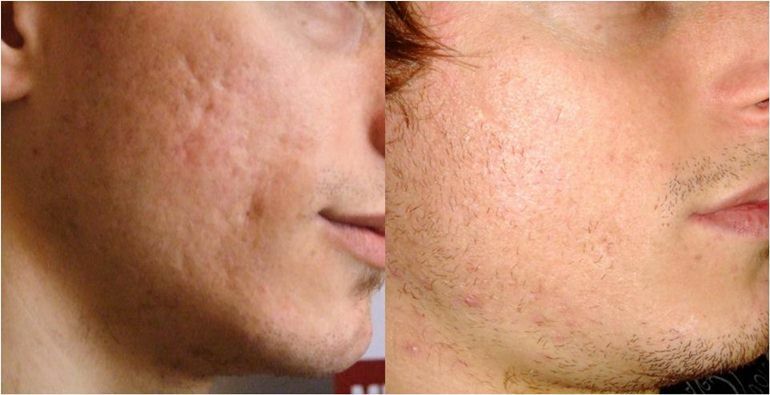 Improving the appearance of acne scars in a very well known science, which has been applied for many years through the use of aesthetic lasers, voltaic plasma, micro-needling, cosmetic peels etc. The aesthetic treatments for improving the appearance of Acne and Chickenpox scars all revolve around the basic concept of stimulating skin regeneration. Skin regeneration can be accomplished in many different ways, one can be more or less invasive than others but they all achieve the same objective. The principle of the acne scars improvement is skin resurfacing which is either induced directly or indirectly. Either using chemical, medical or physical means. Since any aesthetic treatment for acne scars and chickenpox scars does require a number of treatments in order to show visible results, the advantage you have with the Areton One is that you have virtually the same tools the beautician has for this type of treatment but at your own home. Therefore you can save tons of time and money by simply achieving the same results you would with a professional cosmetic peel at your beautician’s office. What to expect with the Areton One for Acne Scars treatment? The Areton one delivers what it promises, however it is not a miracle cure, like laser treatment, micro-needling, voltaic plasma, professional cosmetic peels and any other type of skin resurfacing technique, the Areton One does require a number of treatments in order for you to achieve visible improvements. Generally it takes 4 to 5 average duration treatments in order to achieve visible improvements. It is always better to take plenty of before pictures to compare the results for yourself. Since the improvements are relatively minor after each treatment people will tend to forget what they looked like before they started the treatment. Please note that ice pick type of scars may require surgical treatment in order to fill the void left by the acute acne that caused them. The Areton One skin Re-Surfacer and any other aesthetic treatments to improve the appearance of acne scar cannot match the results of minor re-constructive surgery.